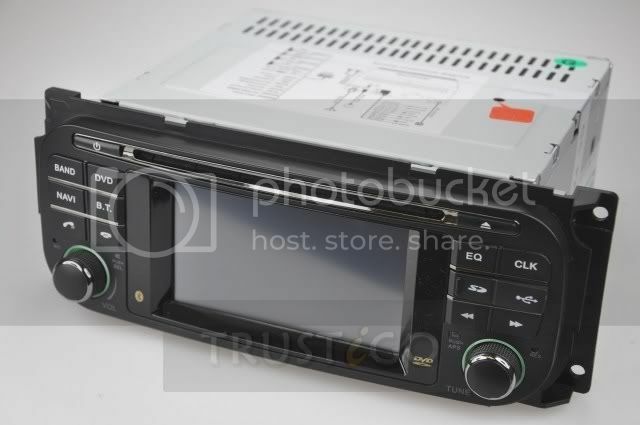 Anybody seen/have one of these aftermarket gps headunits? Seen these on ebay the other day and thought they looked to be a little better unit than an RB1. They have a factory style round face and I can only assume they use the factory plug. The iPod interface is a big selling point. I have an RB1 in both of my cars with a cd changer and I modded an aux input into the changer. But... I am not very well pleased with the outdated tech of the RB1 and the GPS is so clumsy I don't ever use it. This however looks to be a much more up-to-date in the software and easier to use. What do you all think? Worth looking into? That looks really, really cool. I like how it has chrome accents on the knobs, Software looks nice too. It looks very OE as well, which is the only way I'd put an aftermarket system in my car. Last edited by Intrepidation; 07-16-2011 at 11:36 AM. Id love if this works. I want a gps but I dont want to clutter my windshield. Already have a radar detector there. Damn after looking it over I want one. $600 but its got alot of stuff. Wheres the aux port, behind? As cool as it looks, I can't justify spending 200+ on a HU. Let alone 600. That's just asanine. You can get them $100 cheaper but it ships from Hong Kong. I have 2 good RB1's that I can sell and get enough out of to pay for one of these if I decide to go for it. With a milling machine anything is possible. I got an RBQ to fit in my 1st gen.
Get pics if you do! LH's have PCIbus and US broadcasters have switched from analog over the air to digital?? I realize that second gen radios have been put in the 1st gen cars - but I'd still rather get something that looks a little more at home. Also the TV option would be of no use with the analog receiver.